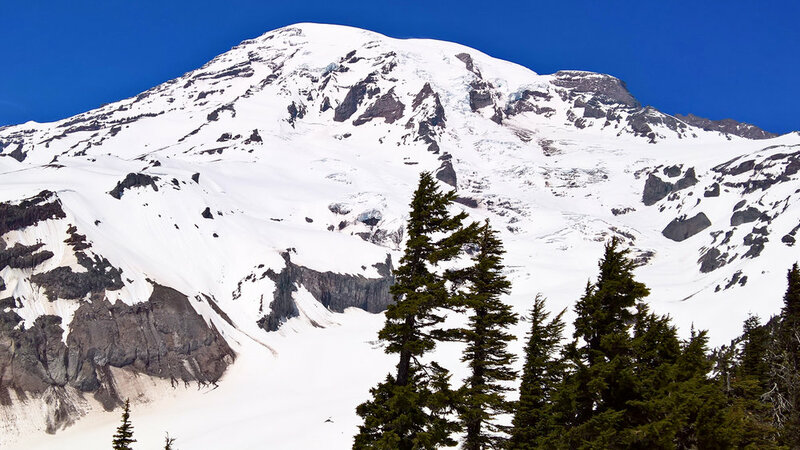 While in the Seattle area for a couple of months, I enjoyed a surprise drive to the internally churning volcano, Mount Rainier. 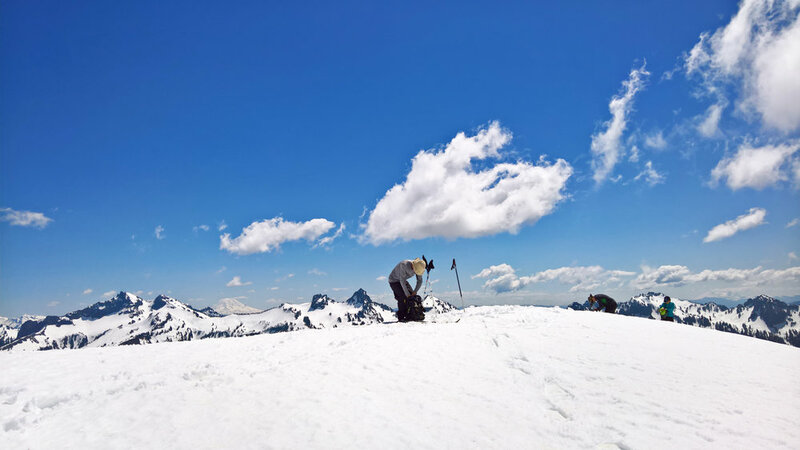 In May, one can photograph its beauty, snowshoe up it, and even ski down. 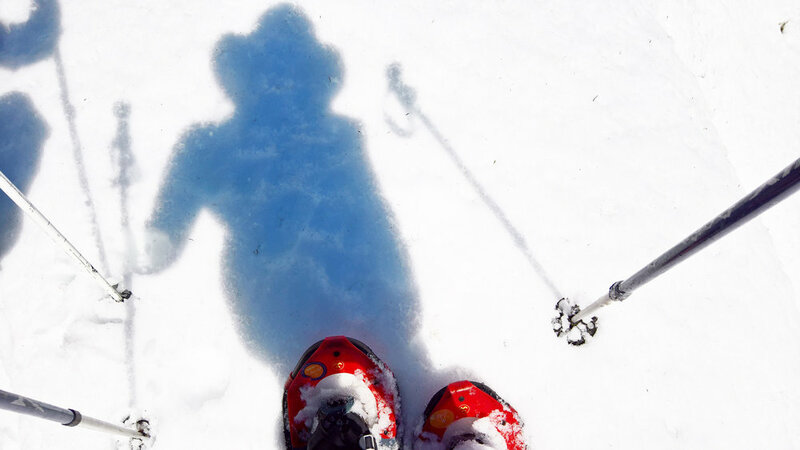 Magically, a certain someone made it possible for me to borrow all the gear needed to snowshoe up Mount Rainier for a few hours (and he even skied down). A hat, ski goggles, long sleeves, plus some favorite sunscreen, were absolutely necessary for protection from the glaring sun. Note to self: never again forget to cover those spots on the neck and chin. Because at this elevation, on snow, big bad burns happen quickly. What a gift, this photo. It calms me. And I had no idea this was behind me. Beautifully, all the mountains were out, including Mount Adams and Mount St. Helens. You can even see them here, in the background. This spot is near the base of the wall that one follows if hiking up to Camp Muir, thus this is where we had to turn around. What a stunning sight to see, snowshoe, and ski.